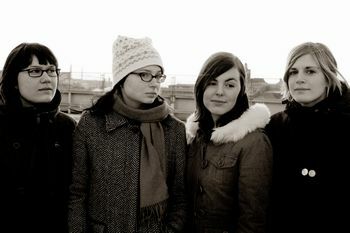 Poking around today I stumbled across the Swedish all-girl band Audrey. Check out their single Mecklenburg. They're not what you'd think of when you hear "Swedish all-girl band", or at least not what I'd think of, but that's probably a good thing. Also in the act now and you won't be disappointed catagory is Buried Beds. I keep playing their track Insomnia over and over. Bird experts and enthusiasts reacted with surprise and anger Thursday when they learned that two nesting hawks at an exclusive golf resort in Orange County were shot down by federal agents. The red-shouldered hawks were killed Wednesday morning near the clubhouse of the Villas of Grand Cypress Golf Resort near Interstate 4 and south of the Dr. Phillips community. About a dozen guests had complained of being attacked. The mating hawks, which can be fiercely protective, had just begun their nesting season and were guarding eggs. "They were killed because they were inconvenient," said Lynda White, coordinator of the Audubon EagleWatch program in Maitland. Bernice Constantin, state director of wildlife services in Gainesville for the Agriculture Department, said the shooting of raptors is a rare event. John White, a biologist and raptor expert with the Florida Fish and Wildlife Conservation Commission in Eustis, said he was surprised to learn that the government had sanctioned the killing of protected birds. "This is the first time I've heard of two adult birds of prey being shot by permit," White said. Constantin said the nest and its eggs were removed from the tree. He wasn't certain what became of the eggs, although the agency's practice is to hand them over to a wildlife care center for hatching, he said. The Audubon's White said the hawks could have been captured and released at a nesting site elsewhere, a measure done successfully with other red-shouldered hawks. Other steps could have been taken, such as arming guests with umbrellas or cordoning off a wider swath of resort property to separate people from hawks nervous about the welfare of their nest, she said. Update: A comment on “Scientist Interrupted” site relates that the nest was left for two days. When the nest was finally examined, the chicks were dead. It also reports that the golf course management consulted with Florida Audubon, who told them about a successful relocation of hawks and their nest. The golf course management apparently decided that would take too long.